Natural remedies are praised for their efficiency as beauty hacks because the fact that they don’t produce any side effects. This is something that modern pharmaceutical drugs can’t achieve because they are packed with potentially harmful chemicals. So, using natural remedies is a much better option although there are situations where only pharmaceutical medicines can help you. The best part about natural remedies is that the vast majority of ingredients used for their preparation are found in every modern household. 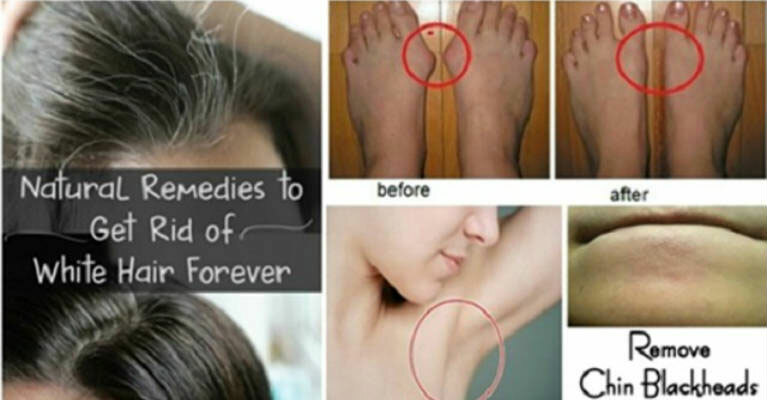 In addition, making these remedies is quite easy and doesn’t take much time. This is a short list of completely natural beauty hacks. They are beneficial for every woman who cares about her appearance and health. In order to prepare this natural remedy you will have to use 250 grams of beeswax, 800 ml of olive oil and a handful of marigold flowers. Take all these ingredients, mix them and boil them for about 60 seconds. After that, leave them overnight. Once you wake up, heat the remedy, stir the mixture and store it away from sunlight. Use the remedy directly on the wrinkles and fine lines on a daily basis for 15 days in a row. If you want to eliminate those unattractive bags formed under the eyes, mix cucumber juice and potatoes. In addition, some people use a mixture that consists of equal amounts of lemon juice and cucumber juice for this purpose. Use any of these mixtures directly on the affected area and wait for 15 minutes. After that, use cold water to wash the area. Take two teaspoons of vinegar and two tablespoons of cornflower and mix them well in order to remove blackheads. Just massage the affected are with this natural remedy for about ten seconds and use warm water to wash the face. The blackheads should be gone after a few treatments. Dark underarms can cause a lot of problems during summertime because you won’t be able to wear sleeveless shirts. The good news is that there is a natural solution for this problem. Mix one tablespoon of milk, one tablespoon of flour and some plain yogurt. Use this mixture directly on the armpits. Wait for 15 minutes before using cold water to wash the mixture. The positive results will be visible after few treatments. Yogurt and milk are loaded with lactic acids which have the ability to reduce the discoloration of skin. If you want to solve this problem you can also rely on a mixture that consists of turmeric, yogurt, lemon juice and flour. Use this mixture on the underarms, wait for a few minutes and use cold water to wash the remedy. You must perform this procedure for at least three weeks. Finally, coconut oil can help you in a situation like this too. Apply it on the affected area for a few days. The best part is that coconut oil acts as a natural moisturizer too. If you want to try this remedy which is one of the best beauty hacks, take linseed, chopped lemons, honey and chopped garlic, mix them well and put them in a glass jar. Store this remedy in a fridge. Take this remedy twice a day before you eat. In case you are interested in keeping your natural hair color, you can also use coconut oil and curry leaves. Just boil the curry leaves in coconut water, strain it well and leave it until it gets cold. Massage the scalp with this remedy for a few minutes. Once you are done, wash your hair in a regular way. Another effective remedy requires the use of cow milk butter. Massage your scalp with this butter twice a week for at least three months. Bruised and cracked heels are problems that many people experience during the winter period. Fortunately, there are a few efficient natural remedies that can help you whenever you find yourself in a situation like this. For instance, placing a ripe banana on the heels for 15 minutes will heal the heels. In addition, hot water will make the skin in this part of the foot softer and pumice stone should be used for exfoliation. Soak some lemon juice in a cotton ball and apply it directly on the neck. Wait for 15 minutes and use cold water to wash the area. After that, use a cream. Avoid sun exposure for a while.